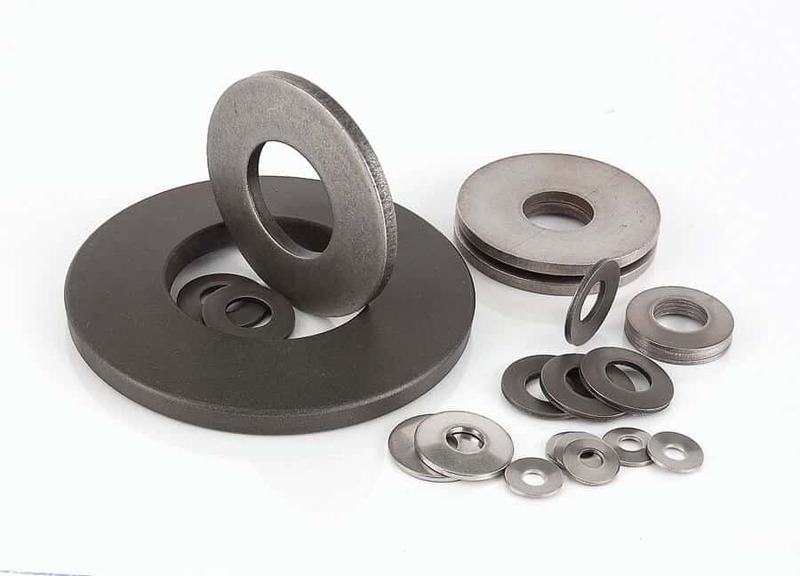 Belleville Disc Springs (conical disc springs) are ideal for applications where a large load is required in a small space. Belleville washers are a unique type of compression spring. These springs provide high load capabilities in limited space, and through variations in stacking they can be adjusted to provide either larger deflections or loads or both. Deceptively small in size, these springs can provide loads ranging from just a few pounds up to several thousand. Bellevilles may be used in either static or cyclic applications.